This painting reminds me of Yellowstone, and the eruptions and lakes formed. It is framed in a walnut with gold float frame. 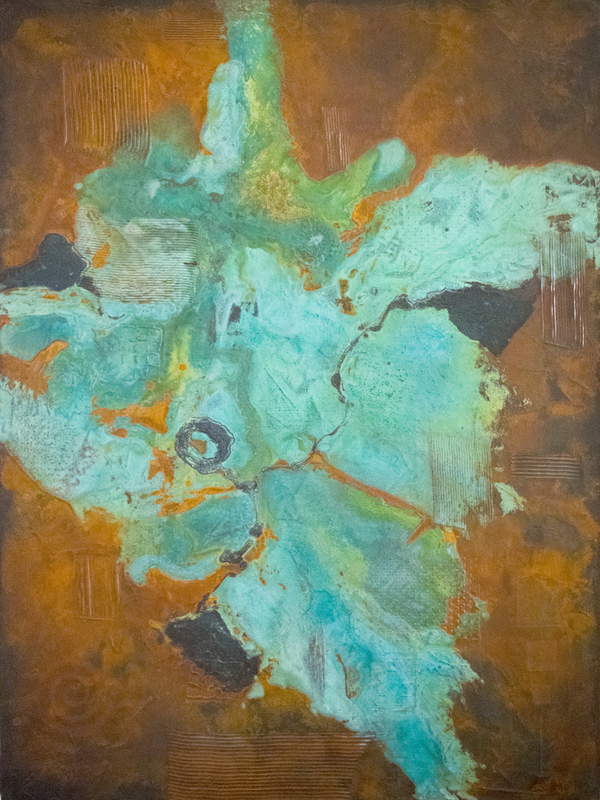 Done with acrylic paint with a great deal of metal in it over texture, then treated with patina to change the metal color, and enhanced with pastels.